Actor Jayaprakash is known to deliver really powerful performances and he backed that claim in the recently released Chennaieil Oru Naal with a fine portrayal. While discussing about his career in an interview he said that each of his films took him to new heights but he singled out Mankatha and said that the reach of that film and his character was phenomenal. He also spoke of his friendship with Venkat Prabhu and the joys of working with Ajtih, whom he termed as ‘a perfect gentleman’. 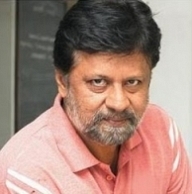 Jayaprakash played the role of Trisha’s father in the film, going by the character name Chettiar. Self-release: The Secret Behind Ajith & Vijay's Blockbusters!